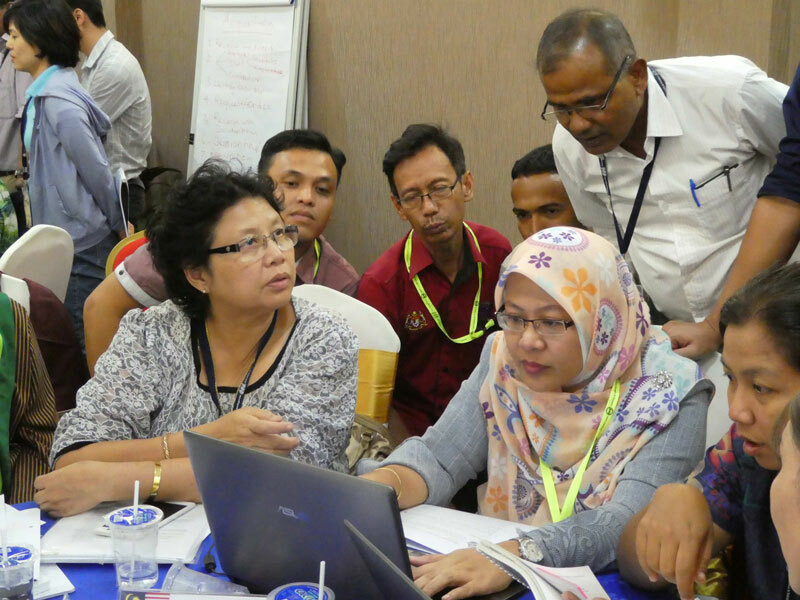 The Crawford Fund recently supported another Genebank Operations & Advanced Learning (GOAL) Masterclass, this time in Malaysia. The event, in partnership with the Global Crop Diversity Trust (Crop Trust) and the Malaysian Agricultural Research and Development Institute (MARDI) attracted 27 participants from 13 countries around Asia Pacific with participants from Associate level through to Master’s and Doctorate qualified professionals, representing 14 institutes such as the Australian Grains Genebank, the National Seed Bank in Myanmar, the World Vegetable Center in Taiwan and Plant Resources Center in Vietnam. Now in its third year, the 2017 GOAL Masterclass for genebank managers and staff had primary objectives to develop Quality Management Systems; introduce options to manage risk, infrastructure and equipment; identify global data standards still requiring deployment; enhance project based monitoring and evaluation within genebanks; and, among other objectives, to ensure implementation of capacity within participating genebanks. With its origins in 2014, the initiative was driven by The Crawford Fund to explore the opportunity of providing capacity building to genebanks within the Asia Pacific region as part of Australia’s obligations as a ratified signatory to the International Treaty on Plant Genetic Resources for Food and Agriculture (the Treaty). The Fund approached Dr Michael Mackay, Associate Professor, Queensland Alliance for Agriculture and Food Innovation at the University of Queensland to develop a curriculum that builds the capacity of genebanks within the global plant genetic resources community in collaboration with the Global Crop Diversity Trust. 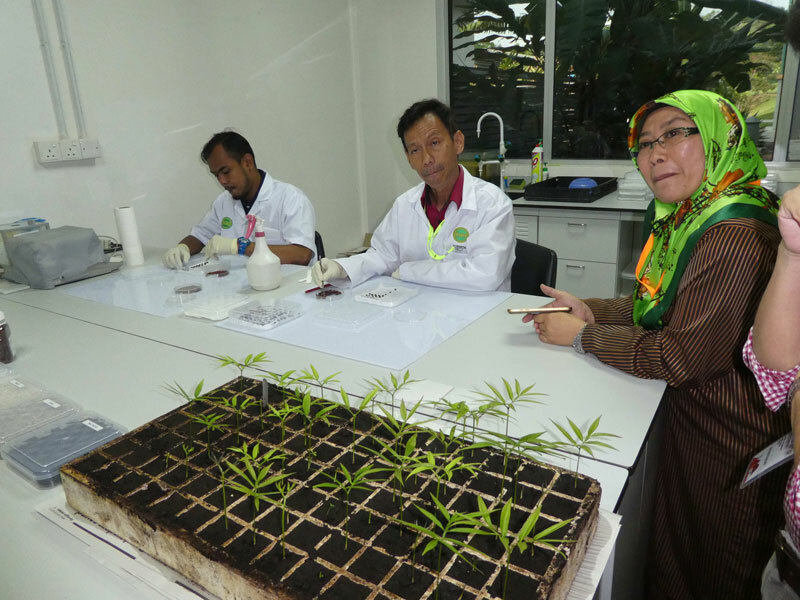 The Crop Trust went on to further support the initiative with resources to facilitate the implementation of the Genebank Operations and Advanced Learning (GOAL) Masterclass within the Asia Pacific region. Two GOAL Masterclasses were subsequently conducted in New Delhi, India in 2015 and 2016, with the most recent Masterclass having just successfully wrapped up for the third year. Summing up the experience, a GOAL 2017 Masterclass participant said, “I’m grateful to the staff of Crawford Fund and the Crop Trust and others who were leading the presentations: Michael Mackay, Sally Norton, Steve Hughes, Matija Obreza, Jenny van Beem, Lee Hickey, Nelissa Jamora, Beri Bonglim and Paul Quek. This GOAL workshop greatly influenced me to set my goals in a research career and will definitely make my sincere efforts to implement the germplasm management techniques in my small regional station. I’m also thankful to Dr. Shukri for his wonderful hospitality during the workshop”.